Campbell Scientific offers our newest TDLAS closed-path trace gas analyzer model, the TGA200A, for measurements of CH4, N2O, or CO2 isotopes. The TGA200A has been optimized for rugged, low-maintenance operation, as it can be placed directly outside on the ground and no longer requires liquid nitrogen. 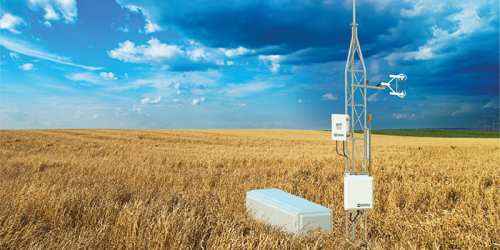 We offer sampling systems to accommodate various measurement methods including eddy-covariance, concentration profiles, multi-site gradient, mass balance, and chambers. Sampling systems offer automatic zero/span capabilities, and eddy-covariance sampling systems now include the revolutionary vortex intake (U.S. Pat. No. 9,217,692) for unprecedented long-term, low-maintenance performance. Contact Campbell Scientific to discuss custom sampling options.